Cooldaddy Media has designed many logos over the years from Illustator and Freehand 1.0 to the current incarnation of Adobe Illlustrator CS. Over that time period, Stuart Coleman has also retraced hundreds if not thousands of logos from client provided bitmaps, jpegs and other less than print quality source files. Here are some samples of my favorite logos. The United States Patent and Trademark office grants Trademark Registration number 3,625,237 to Stuart Coleman and Cooldaddy Media for the Band Name, “The Absolution” and the crown of thorns logotype. All other pretenders to the name must relent, cease and desist. 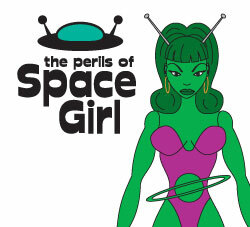 Cooldaddy Media designed this logo and the character for the short-lived, web-based cartoon following the adventures of Space Girl. 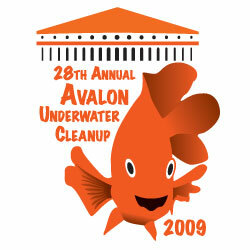 Cooldaddy Media designed this logo for the 2010 Catalina Conservancy Avalon Underwater clean-up. While being present at the 2009 event, Stuart noticed quite a few octopuses amoung the detritus being recovered that provided the inspiration for this year’s contest entry. 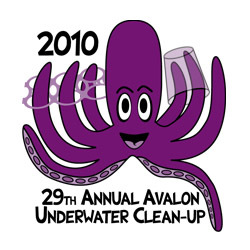 Cooldaddy Media designed this logo for the 2009 Catalina Conservancy Avalon Underwater clean-up. This design was selected as the Winning design and was printed on hundreds of t-shirts and promotional items for the event. Cooldaddy Media designed this logo for the South Coast Corinthian Yacht Club in-house magazine, The Beacon. The Beacon covered the yacht racing scene around Marina Del Rey as well as all of the club activitites. 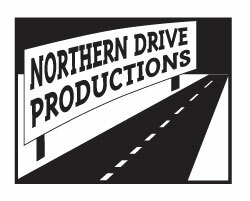 Cooldaddy Media designed this logo for the movie production company of Johathan Tydor. 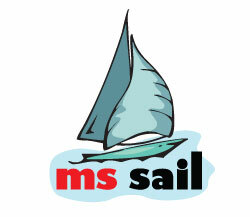 Cooldaddy Media designed this logo for the charity sail event that coincided with the MS Walk events in Southern California. 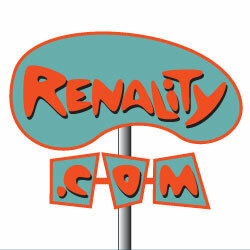 Cooldaddy Media designed this logo for a website that was devoted to all things kidney-shaped. Kinda googie and kinda silly and that website doesn’t exist anymore. Go figure. 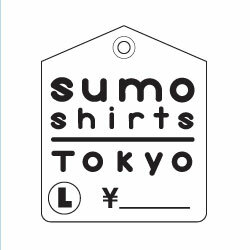 Cooldaddy Media designed this logo back in 1992 for a line of t-shirts sold in tourist areas of Japan.